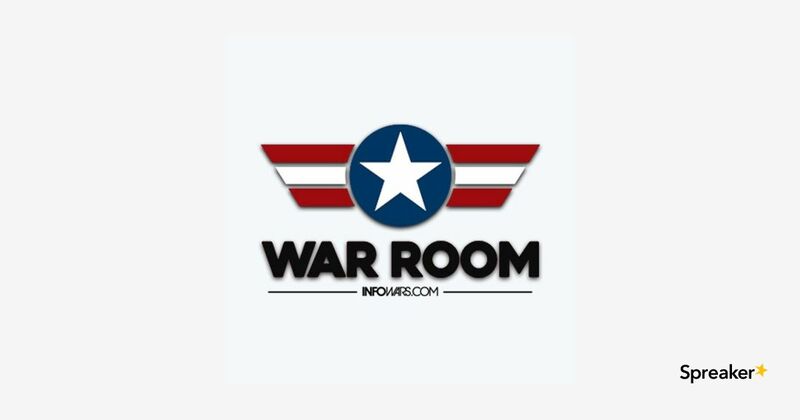 Today’s War Room breaks a very important story of a father losing his rights to raise his son because he refuses to allow the mother to raise the boy as if it were a girl, only it’s much worse than that. We also highlight the legal President of internet censorship. Also, Frank Cavanaugh joins the show for Full Metal Maga Hour. HAVANA (Reuters) – Alphabet Inc’s Google signed a deal with Cuban telecoms monopoly ETECSA on Thursday to negotiate an agreement to improve internet traffic exchange between their two networks and connectivity on the Communist-run island. The partnership would create a cost-free and direct connection between the Google and Cuban networks in a process known as “peering” in the industry. It would enable faster access to content hosted on the tech giant’s servers. “The implementation of this internet traffic exchange service is part of the strategy of ETECSA for the development and computerization of the country,” Google and ETECSA said in a joint news release, read out at a news conference in Havana. The peering would be implemented “when technical conditions allow it,” they said, without specifying what they would be. Neither party took questions. The memorandum of understanding creates a working group of engineers focused on figuring out how to carry out the peering. Google has been working to expand its business in Cuba for years although analysts say it will have to work hard to gain the government’s trust. 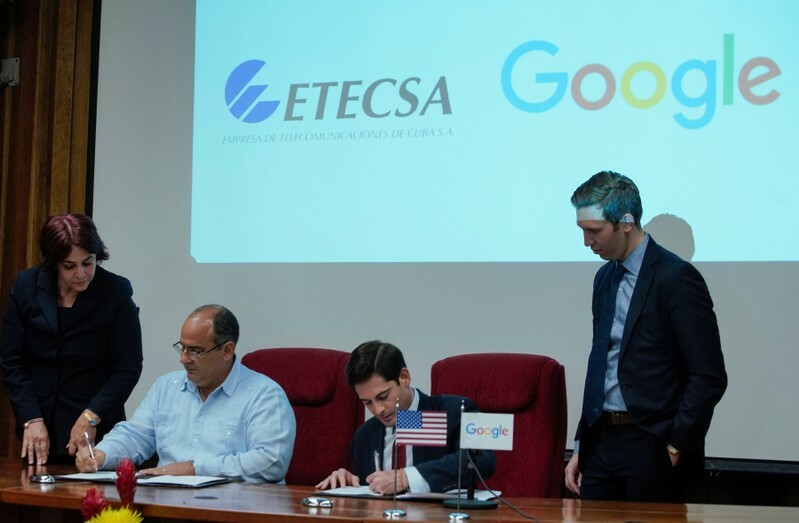 “The signing of this memorandum evidences that the interest of U.S companies in developing businesses with ETECSA remains,” the Google, ETECSA news release read. Former Google Chief Executive Eric Schmidt met Cuban President Miguel Diaz-Canel twice last year, in June in Havana and in Google’s New York office in September. Google’s attempts to enter the Cuban market come as it faces blowback over attempts to expand in another Communist-run state, China, amid concerns it could comply with that country’s internet censorship and surveillance policies. Whether due to the U.S. embargo, lack of cash or concerns over the free flow of information, the internet was largely available to the public in Cuba only at tourist hotels until 2013 when a fibre-optic cable to Venezuela went live. Owen Shroyer delivers cutting-edge insight on President Trump’s Space Force. After a successful launch, the time jumped 40 days ahead to simulate deep space cruise. How would the software and hardware interact when they had to perform navigation fixes and trajectory correction maneuvers? And how would they work when simulated events didn’t go as planned? The team looked for answers on the operators’ computer screens in the test operations room beside the cleanroom. CNN was bestowed the Cronkite Award for its “Parkland Town Hall” which resulted in NRA spokeswoman Dana Loesch being escorted off the premises after attendees berated and tried to assault her. Loesch attended the event to defend the Second Amendment following the left’s calls for gun control over the deadly school shooting in Parkland, Florida, but the audience ended up hurling insults and threats of violence against her. “Is this a joke? Seriously,” she tweeted Tuesday, before releasing several video clips of the event while it wasn’t televised. “Here is some footage where people were yelling to burn me at CNN’s award-winning townhall where they ‘advanced the conversation on gun control,’” she said. “Shame on you! Shame on you! Shame on you! Shame on you!” the audience chanted as Loesch was escorted from the event. “This is what happened when the cameras turned off at @CNNPR ’s award-winning townhall. They’re proud of it,” Loesch continued. In the mainstream media bizarro world, CNN is given awards for “advancing the conversation on gun control and violence” for hosting an event that demonizes the Second Amendment and threatens violence against detractors. Even CNN CEO Jeff Zucker was given a First Amendment award after lobbying to censor his competition online. (Reuters) – Senator Elizabeth Warren vowed on Friday to break up Amazon.com Inc, Alphabet Inc’s Google and Facebook Inc if elected U.S. president to promote competition in the tech sector. Warren, who is seeking to stand out in a crowded field of presidential candidates, said in a blog post that on their way to the top, the big tech companies purchased a long list of potential competitors, like Facebook’s acquisition of Instagram. “They’ve bulldozed competition, used our private information for profit, and tilted the playing field against everyone else. And in the process, they have hurt small businesses and stifled innovation,” Warren wrote. 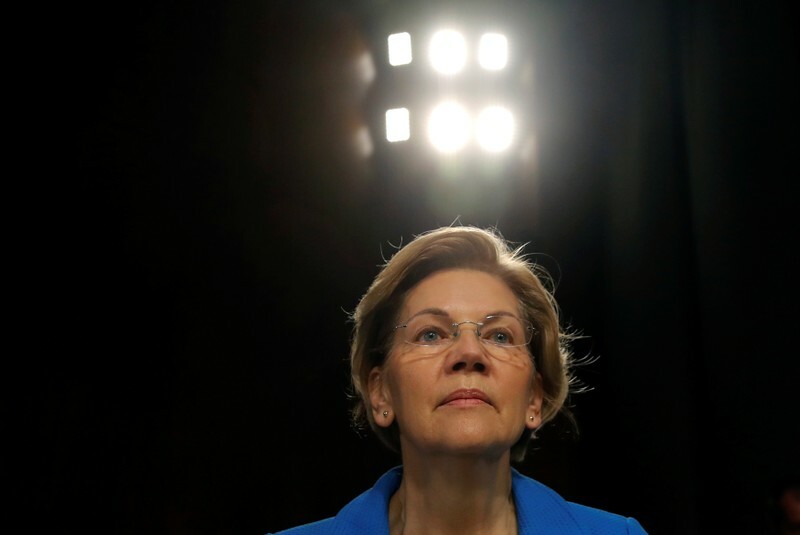 Warren said that she would nominate regulators who would unwind acquisitions such as Facebook’s deals for WhatsApp and Instagram, Amazon’s deals for Whole Foods and Zappos, and Google’s purchases of Waze, Nest and DoubleClick. Investors shrugged off her comments, with shares in the three companies barely affected. Shares of Facebook and Alphabet were each down less than 0.5 percent on Friday. Amazon.com was down 0.9 percent. It is rare for the government to seek to undo a consummated deal. The most famous case in recent memory is the government’s effort to break up Microsoft. The Justice Department won a preliminary victory in 2000 but was reversed on appeal. The case settled with Microsoft intact. Warren also proposed legislation that would require tech companies like Google and Amazon who offer an online marketplace or exchange to refrain from competing on their own platform. This would, for example, forbid Amazon from selling on its own Amazon Marketplace platform. Amazon and Google did not immediately respond to requests for comment. Facebook declined to comment. The tech companies have come under fire because of their role in displacing existing businesses. Amazon has replaced brick and mortar stores and has been criticized for its poorly-paid warehouse workers. Facebook has angered lawmakers for losing track of users’ data and for not doing more to stop foreign meddling in the 2016 U.S. presidential election. Google has clashed with smaller companies, like Yelp, over search placements and has raised concerns it would comply with China’s internet censorship and surveillance policies if it re-enters the Asian nation’s search engine market. Congress held a series of hearings last year looking at the dominance of major tech companies. NetChoice, an e-commerce trade group whose members include Facebook and Google, said Warren’s plan would lead to higher prices. Public Knowledge, a tech policy group, called Warren’s plan a step toward protecting the next generation of businesses but stopped short of a full-throated support for breaking up the tech giants. “We need legislation specifically targeted to enhance competition on digital platforms so that there is a real opportunity for new, innovative competitors to succeed,” said Charlotte Slaiman, the group’s policy counsel. Tech expert Tim Wu, who coined the term “net neutrality” and has warned against an economy dominated by a few giant firms, tweeted that it was “heartening” to see the idea of breaking up the tech giants gaining some traction. Tech companies are some of the biggest political donors. Google spent $21 million to lobby in 2018 while Amazon spent $14.2 million and Facebook spent $12.62 million, according to their filings to U.S. Congress. Angering a deep-pocketed industry could hurt Democrats. Warren made her political mark by going after big banks after the 2007-2009 financial crisis. In the Senate, Warren continues to be an outspoken critic of Wall Street and is a leader of her party’s progressive wing. Other candidates have also criticized the tech firms. Senator Amy Klobuchar of Minnesota used her presidential campaign launch speech to vow action on digital issues like privacy, saying “big tech companies” misuse personal data. Vermont’s Bernie Sanders, another presidential candidate, in 2018 even named a bill after Amazon founder Jeff Bezos, the Stop BEZOS Act, which would tax big companies if their employees receive public benefits.